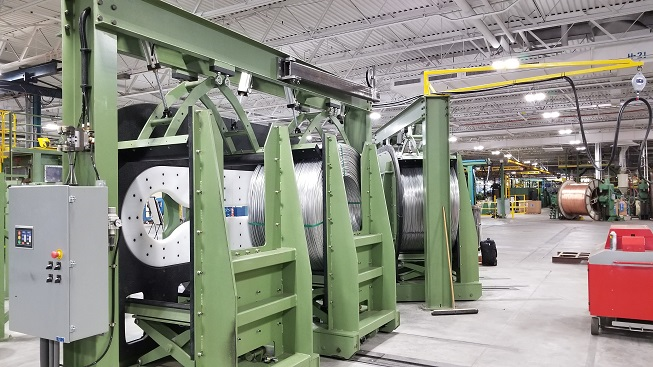 Cole Services typically installs several large rotating production lines per year. Many of these stranders are installed as turnkey installations. 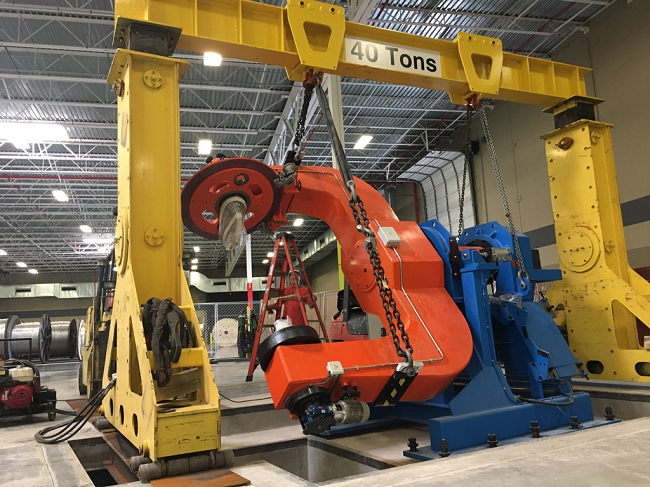 Cole Services added a new 40 Ton capacity gantry crane in 2017. This new gantry is for the assembly of large heavy pieces of machinery. 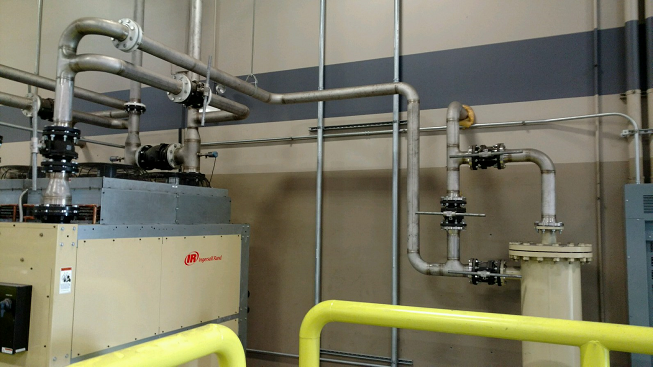 Most machinery installations require piping for either fluid power or process cooling. Welded, threaded, stainless, black, PVC or copper, Cole Services has the skilled craftsmen to complete your piping projects. Mezzanines and equipment platform are just a few of items we produce in our fabrication shop. 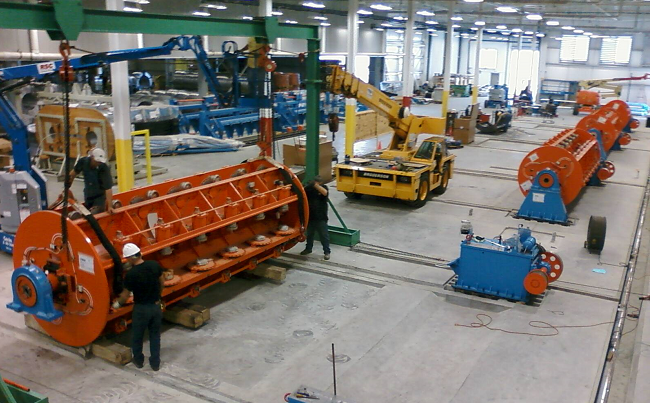 Custom machinery frames like the holding furnace in the adjacent picture are seen frequently on the shop floor. Electrical panels include drawings, design, fabrication, and programming. 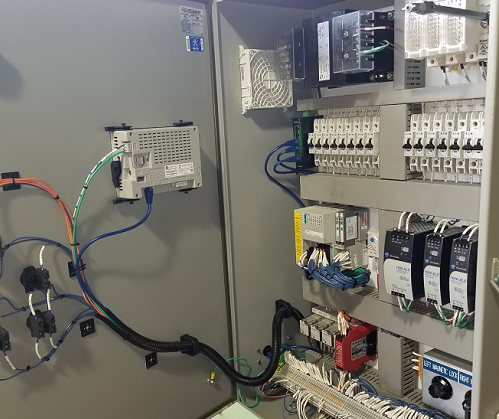 Our Panel applications typically include PLCs, Drives, Panelviews, and Remote I/O. 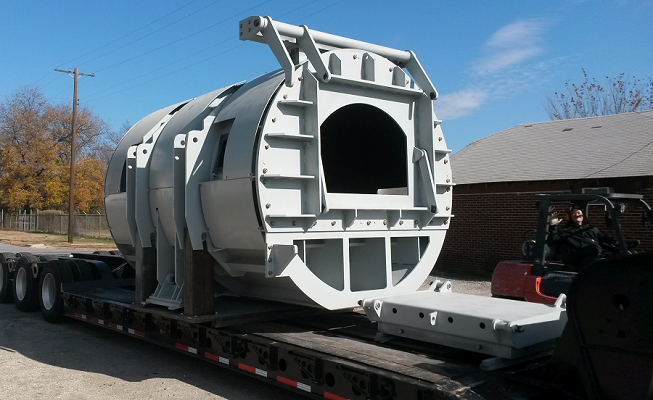 When machinery cannot be purchased from an existing manufacture, Cole Services can design and build custom units specifically for your needs.